Proven forecasting software for stocks, ETFs, forex, cryptocurrencies, commodities and other markets. 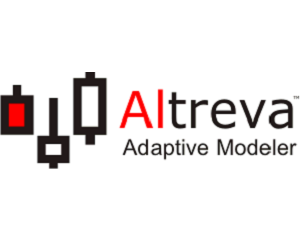 Based on unique and innovative technology, Altreva Adaptive Modeler creates market simulation models that coevolve with real markets and give one-step-ahead forecasts and trading signals. Altreva Adaptive Modeler is a software application for forecasting real-world stocks, ETFs, forex currency pairs, cryptocurrencies, commodities and other markets. It creates market simulation models in which thousands of virtual traders apply their own trading strategies to real-world market data to trade, compete and adapt on a virtual market. Their collective behavior is used to generate one-step-ahead forecasts and trading signals. Models evolve incrementally in real-time without overfitting to historical data. This results in better adaptation to changing market conditions and more consistent performance.